The American West was won on the backs of hard working horses like these three stock-type horses. Everyone needed reliable horses for ranch work, travel and leisure, and these horses, which eventually formed the basis of the American Quarter Horse breed, were ideally suited to this lifestyle! Breyer's #61098 Heroes of the West set Includes: 2 Horses (grey saddled with Western saddle and bridles plus an untacked grulla), and 1 cute black foal. 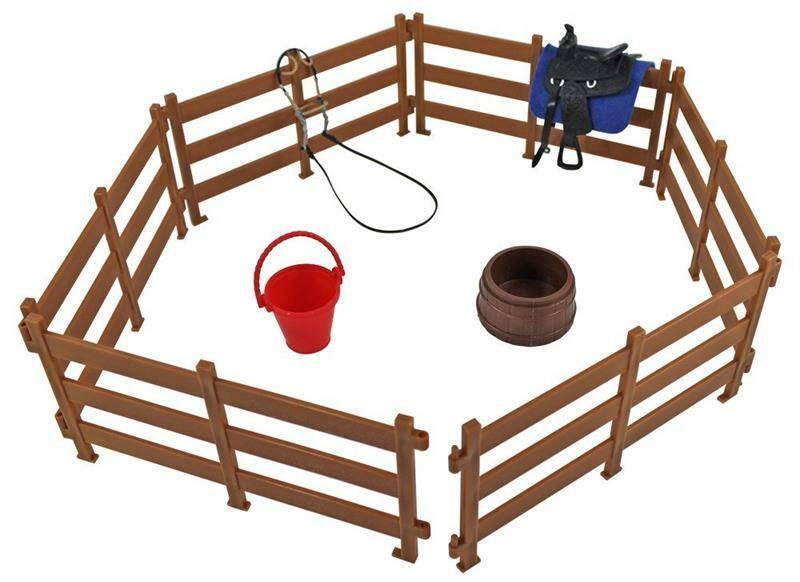 Accessories include 6 pieces of corral fencing, a water barrel, and a bucket.